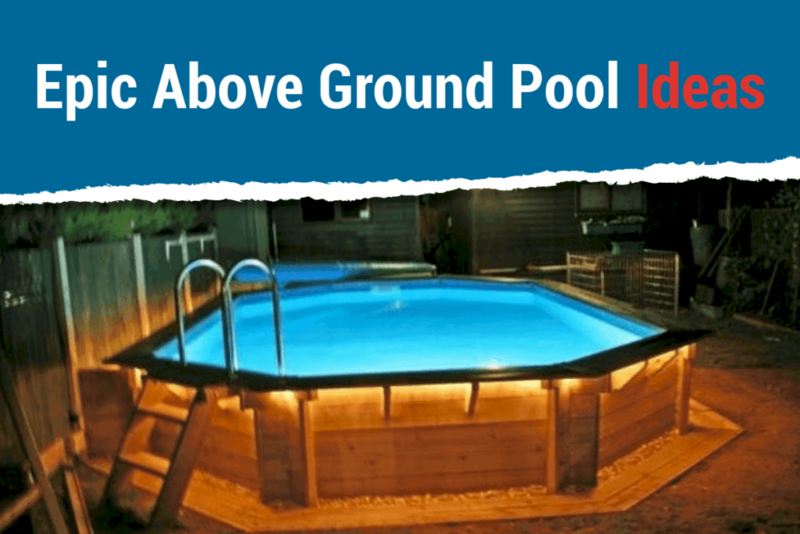 Deciding on whether to install an above ground or in-ground pool can be a tough job. 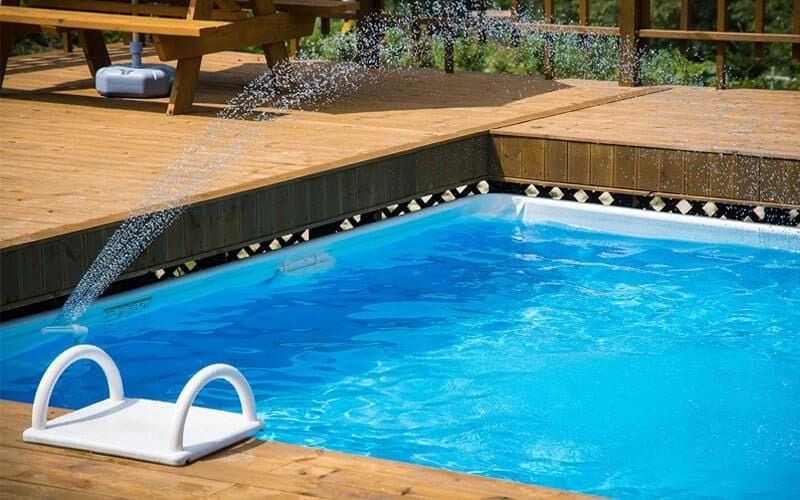 While some homeowners consider installing an in-ground pool because it’s easier, you’ll also be spending a ton of money for its maintenance installation costs. That’s why, if you’re tight on the money department, installing an above ground pool is the way to go (check out our above ground pools reviews if you don't have one yet). You need not to worry on how you’re going to present it because here are some aesthetically- pleasing above ground pool ideas for you to recreate. First, let’s start with the basic. What shape are you planning for your above ground pool? A big and round above ground pool is perfect when you have a wide backyard. It’s also a lot easier to install, too. However, if you prefer an elongated and longer pool, an oval- shaped above ground pool might be your best bet. With this pool shape, you’ll have a longer track to swim to. Lastly, if you want to improve your athletic side, a rectangular or a boxy above ground pool is great for lap swimming. 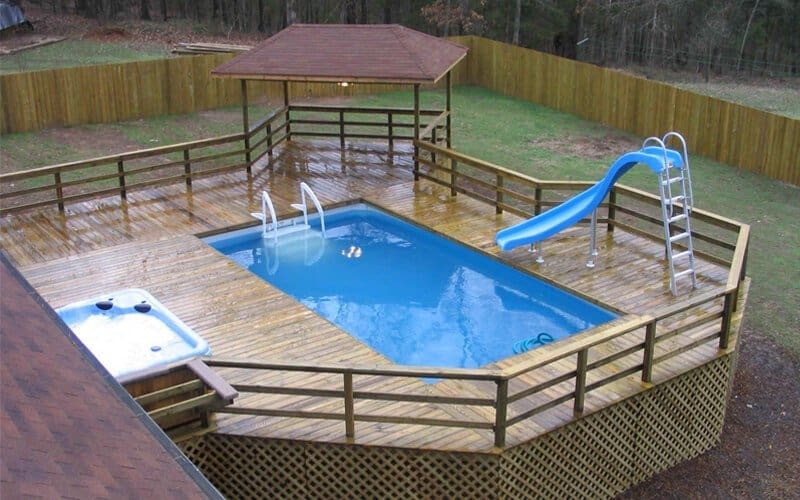 What’s an above ground pool without decking? 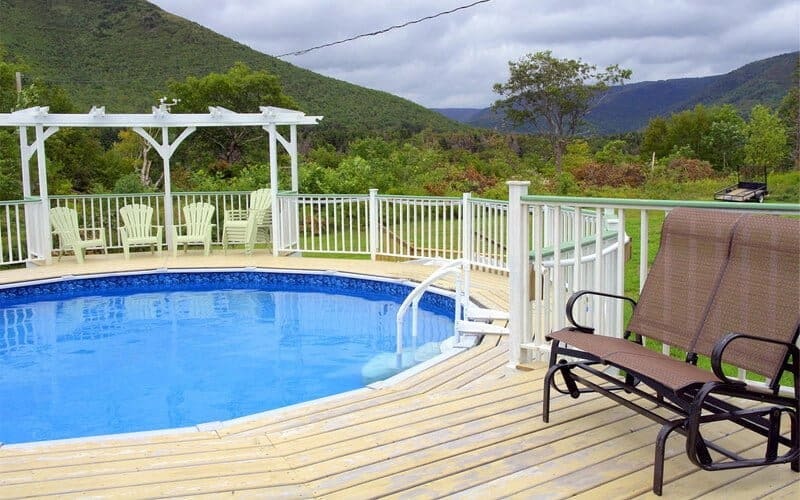 One of the go-to above ground pool ideas is to have a surrounding deck. The thought of having an above ground pool alone is exciting, but having a deck to surround it makes it outstanding. Decks around every swimming pool can serve as the lounge area for your family and friends. In addition, it can also be a more natural way to blend it into your backyard landscape. Do not limit yourself to wooden decks. Going for a tiled deck can also be a good choice. To make it even more unique, you can make its walkway look like bricks. You can even use real bricks. This elegant design makes your above ground pool cope naturally with your yard design. To seal the deal, add a few planters and bright flowers. If you don’t have enough space for a large deck, having a multi-levelled deck is a smart option. This makes great use of the available space. Create your multi-levelled or tiered deck to make room for everybody. This above ground pool idea is every child’s dream. Having a pool with a deck and a bridge will make your pastime worthwhile. A wooden bridge on your own pool instantly gives a fairy tale vibe to your backyard. It will also create a look that will blend really well with your yard. To add more creativity to it, flowers and plants will greatly help. If you want to be a little fancy, putting a set of garden lamps with warm- toned light will set your pool right. You can place it in the deck surrounding your above ground pool, or even inside the wall. Either way, they will still look very fancy. There are a lot of types of pool light that you can find in the market. They don’t just light up your backyard, they will also light up your mood. Now, if you want to step it up a notch, why don’t you use fiberglass instead of a regular wall? You might be hesitant with this idea but it’s important to research on what glass to use first. Use a glass type that can hold so much pressure. Having glass walls for your above ground pool will be such a sight to see. An above ground pool with slide. I mean, why not, right? Adding this equipment will make your kids love you even more. Although it’s not like the ones on a regular pool, it still gives you the same thrill. However, make sure that the slide is properly installed so it’s safe for children to play with. While we’re at it, why don’t we include a trampoline as well? Adding a trampoline on the side of your deck’s pool is a smart way to bring more fun to the backyard. Make family time the best time of the day with this fun add on! Who doesn’t love a good old natural looking backyard pools? Natural stones, rock walls and landscaping under warm and earthy colors, and fancy fountains will complete this look. Blend natural hues on your pool’s design. Design it in such a way that it still has a vibrant and lively aura to it. If you want a more scenic theme, try having a desert look for your backyard pool. Use large flagstones that can surround the pool. This emphasizes and fits the desert aura. Take a much- needed escape (to your backyard) and enjoy the refreshing look of the cool, blue water in a desert landscape. Turning your above ground pool can really be a great way to express your creativity. There are a lot more unique above ground pool ideas to choose from. Once you’ve landed on a design that your heart leaps for joy, start installing and get your creative juices flowing!